Here is another interview from one of our lovely readers…Sarah Rebecca Davis Madden! 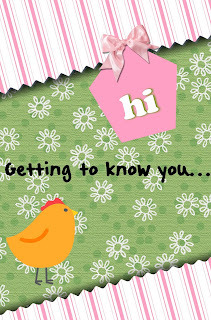 So much fun getting to know those we chat with so often online. I have one son who is the love of my life. Two cats who tolerate me and a mini schaunzer named Rocky that I adore. My hobbies include reading, singing and story telling. -Any spare time is spent with my family. -I am not well traveled. (One reason I read .). I do love the water. Destin Fl is truly one place I love. However my favorite get away is to my best friend's front porch. 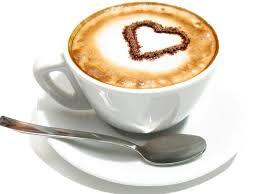 A cup of coffee early in the morning, not much better get away. -I have read mystery's as long as I can remember. I have always devoured books and mysteries are my favorites. 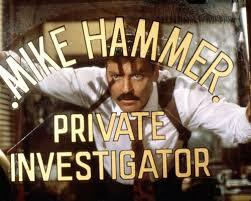 I use to sneak Mike Hammer books that my older brother read and read them. Mickey Spillane was a favorite author. 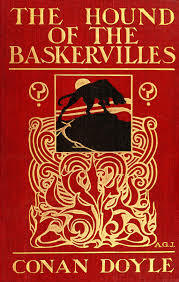 If I were to pick a book I could read over and over, and have, Sir Arthur Conan Doyle, Hound of the Baskerville 's. I have also watched the old movie with Basil Rathbone too many times to tell. Now what character would I like to hang out with if possible. Their are truly so many, but I have to stick with Sherlock. I have the pleasure of knowing some writers of my favorite books. I can only say, it is even more fun hanging out with them than any character from a book. I like to live life as an adventure. I don't have bad days only character building ones. I try. Thanks so much, Sarah. Nothing more fun than meeting new friends. If you’d like to be interviewed email:DuffyBrown@DuffyBrown.com or message me on FB.